At night, one of the many sounds outside is the noise coming from crickets. This noise is actually called "chirping." Contrary to popular belief, chirping is not the result of crickets rubbing their legs together and not all crickets are able to chirp. Chirping is only done by male crickets to attract the attention of female crickets. The left wing of a male cricket is ribbed, with 50 to 300 ridges. This surface is called the file. The top part of the right wing is called the scraper. When the left wing is raised to a 45-degree angle and the scraper part of the right wing is rubbed against it, it results in a chirping sound. The technical name for this action is stridulation. Crickets are nocturnal, so they chirp at night. This is the reason we never hear this noise during the daytime. 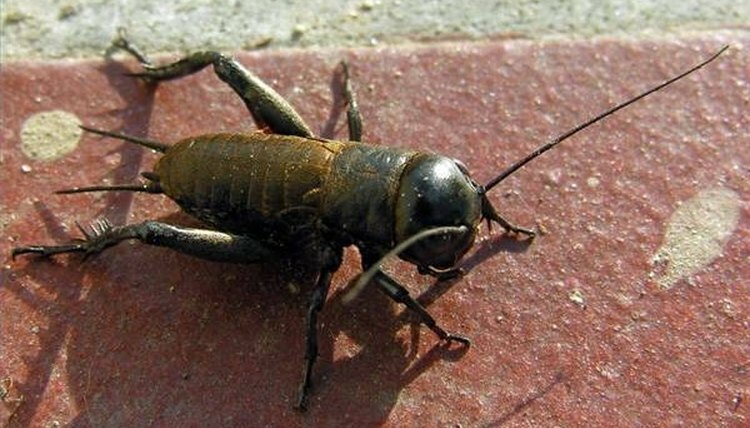 We're also more likely to hear chirping in the spring and summer since in warmer weather, the crickets are more active. There are four types of chirping. A loud calling song is used to attract females. A soft courting song is used when a female cricket is near. An aggressive chirping is set off when another male is coming near. And another chirp is used for a brief time after successful copulation. According to Dolbear's law, it is actually possible to know the temperature outside (Fahrenheit) by counting the number of a cricket's chirps in 14 seconds and adding 40 to that number.